Ainsley plunged his hands into the icy water, scraped the ground beneath until they were filled with stones, and pulled them above the surface. He examined each one, cursed when he didn’t find what he was looking for, and chucked the entire load back into the water. Behind him, the rocky shore rattled like a string of beads as the tide pulled out. 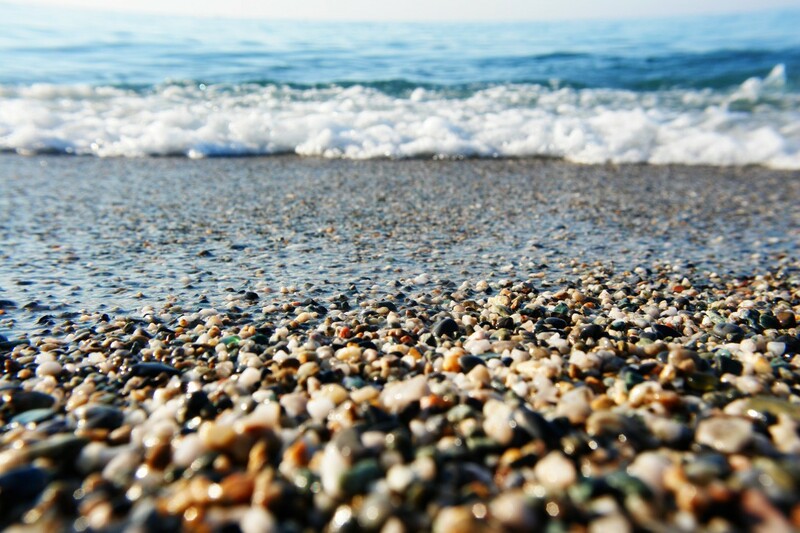 The beach here was composed wholly of stones, stones of all shapes, sizes and colors. Once, when the world was new, they’d all been a dazzling white, each saturated with the wild unformed magic of creation. But most had surrendered their magic eons ago, had used their nearly limitless power to manufacture the world. Now, the majority were worthless trinkets. The majority, but not all. Ainsley reeled in another handful. Examined it. Tossed it back and tried again. There were a few albinos left, cosmic leftovers scattered like flecks of diamond in a desert sand. Those precious few were still filled with the raw power of creation, a magic orders of magnitude stronger than anything magicians could wield today. The water was cold, and Ainsley shivered. Once, he’d thought he could avoid the ocean, that he could restrict his search to the rocks he saw on the shore. After all, he’d reasoned, it was equally likely that he’d discover an albino on land as he would in the water. But further research in the dustier corners of the Archives had indicated this was not the case, that searching outside the sea would have been a waste of time. The type of object he sought was drawn to the water like a magnet was drawn to iron. So he continued to sift the shallow ocean floor, cold and tired and alone. A shuddering gasp as he mined the bottom again. More worthless rocks. They plopped back into the water with all the rest. The beach where Ainsley had spent his life searching was a special place, hidden in a forgotten corner of the world where few ventured and from which fewer returned. It had taken him ages to find it, and his search for even a single stone had consumed double that amount of time. Long ago, he’d been an influential magician himself, had fundamentally changed theory as well as its application with his groundbreaking research. For a time, he’d even served as one of the Tower’s Council of Nine. But then his research had lead him down an unorthodox path, and before he knew what had happened he’d been exiled by his colleagues, who were convinced he’d made a mockery of their field. The day they sent him away, they called him a lunatic. But he knew better, and he would prove them wrong. More rocks. Worthless. Dump. Repeat. He was tired, had turned into a feeble old man while his back was turned, and from time to time he worried he’d die a failure, that his life’s work would be in vain. The years he’d traveled back and forth between the layers of the world to get to this place had taken their toll, and though he was only forty-seven, he looked and felt like a man of eighty. He closed his eyes. Scooped up more rocks. Opened his eyes. Looked down. Gray and orange, red and black, but no white. He tossed them one by one, watched as they landed with tiny as well as not so tiny ripples. Then he stopped. There, tucked beneath a larger stone in the palm of his hand, a tiny white pebble. His breath caught in his throat. He picked it up with his other hand, let the rest fall back into the water forgotten. Here, this was what he’d spent his life searching for. In that single pebble was more energy than a thousand men could wield in a lifetime. The power to level mountains. The power to raise new ones. He could feel it, humming just beneath the surface like a high tension electrical wire. A smile bloomed on the man’s salt-parched lips as he thought of his former colleagues. Wouldn’t they be surprised.